Autumn is here, the season of falling leaves and pumpkin spice everything. Porridge is a favourite treat of Edwin's. It's a easy dish to go vegan too, I personally think coconut milk makes a lighter and less claggy porridge. 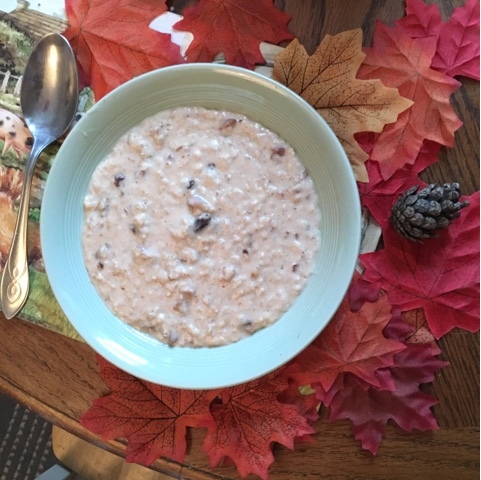 Today we combined two Autumn treats- pumpkin spice and porridge. It's sugar free but tasty and a great way to start a day of adventure.